Here we report experimental platforms for driving the cyanobacterial circadian clock both in vivo and in vitro. 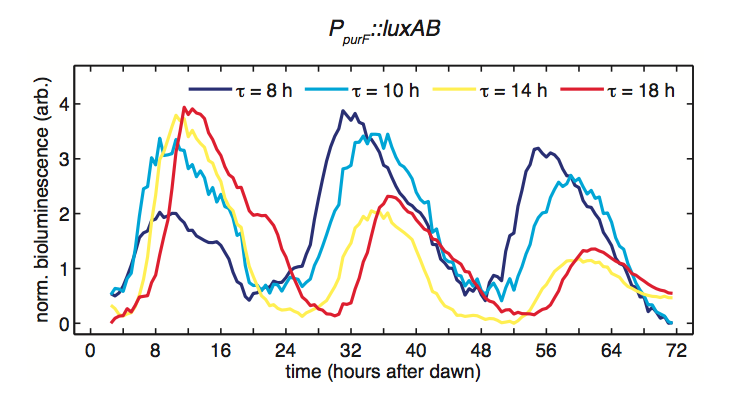 We find that the phase of the circadian rhythm follows a simple scaling law in light-dark cycles, tracking midday across conditions with variable day length. The core biochemical oscillator comprised of the Kai proteins behaves similarly when driven by metabolic pulses in vitro, indicating that such dynamics are intrinsic to these proteins. We develop a general mathematical framework based on instantaneous transformation of the clock cycle by external cues, and it successfully predicts clock behavior under many cycling environments. 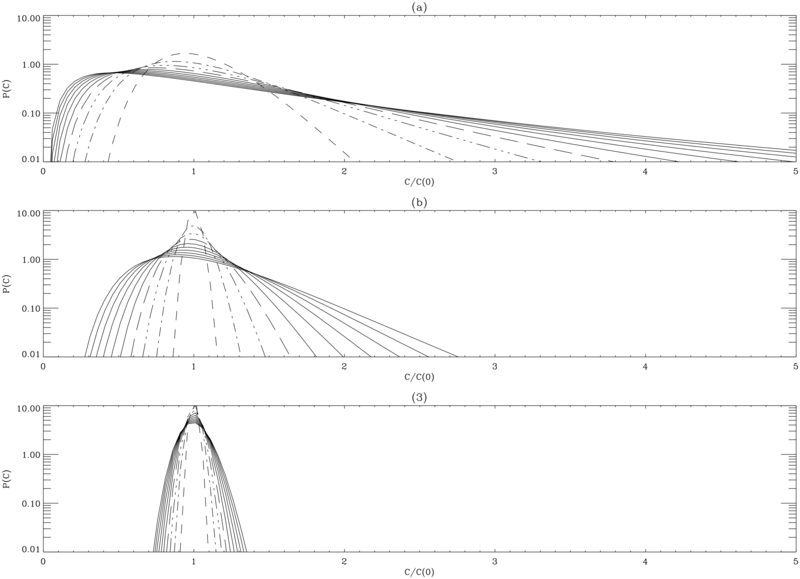 We investigate the geometric structure of a nonequilibrium process and its geodesic solutions. By employing an exactly solvable model of a driven dissipative system (generalized nonautonomous Ornstein-Uhlenbeck process), we compute the time-dependent probability density functions (PDFs) and investigate the evolution of this system in a statistical metric space where the distance between two points (the so-called information length) quantifies the change in information along a trajectory of the PDFs. There has been increasing awareness in the wider biological community of the role of clonal phenotypic heterogeneity in playing key roles in phenomena such as cellular bet-hedging and decision making, as in the case of the phage-λ lysis/lysogeny and B. Subtilis competence/vegetative pathways. 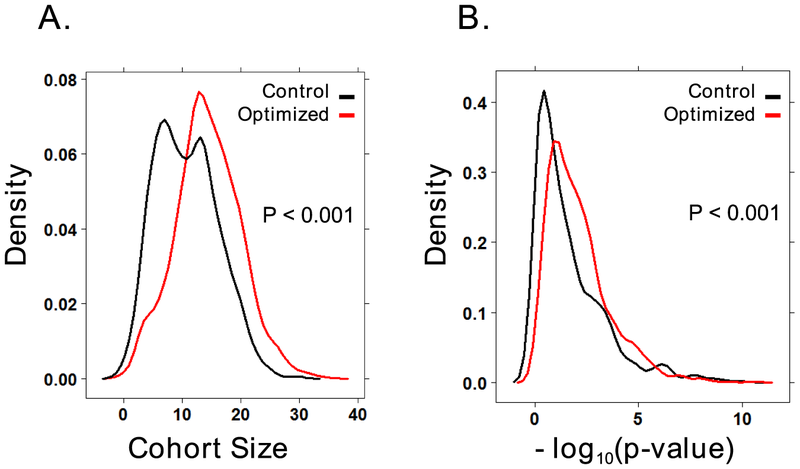 Here, we report on the effect of stochasticity in growth rate, cellular memory/intermittency, and its relation to phenotypic heterogeneity. The application of gene expression array technology to breast cancer has emphasized the heterogeneity of this disease and also provided new tools to classify breast cancers into subtypes based on gene expression patterns. Ideally each subtype would reflect distinct molecular characteristics corresponding to discrete cancer phenotypes. This information could be used to gain prognostic insight and, eventually, to predict response to therapy. 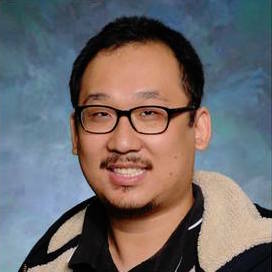 UnJin Lee is an evolutionary geneticist with a background in physics. His prior work has been primarily focused on the interface between cancer diagnostics and systems biology, focusing on statistical and numerical methods. Currently as a graduate student in the Committe on Genetics, Genomics, and Systems Biology at the University of Chicago, he is studying the functional evolution of new, essential genes. One paradigm of modern evolutionary biology holds that conservation correlates with essentiality (loss-of-function lethality). However, the Long lab and others have recently demonstrated that new genes, which frequently arise through duplication and divergence, can rapidly become essential. New genes can gain essential functionality by forming new protein-protein or protein-DNA interactions. Using chromosomal capture technologies, his goal is to determine whether the rapid evolution of these new essential genes is the result of the recruitment of novel, context-dependent gene regulatory interactions through gene duplication.